Livex 40903-35 - Delicate dangling crystals add a luxurious counterpoint to this polished nickel orb. The three arm cluster nestled within orbiting rings features teardrop crystals. 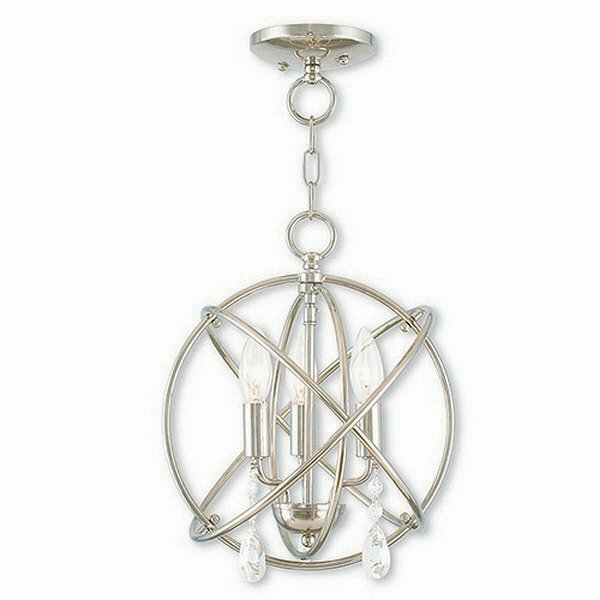 Use a couple of these fixtures over your kitchen island or convert this to a ceiling mount for your hallway or bathroom.